by refreshments in the Richard Reynolds Centre. gateway of Syon Abbey itself at Twickenham. 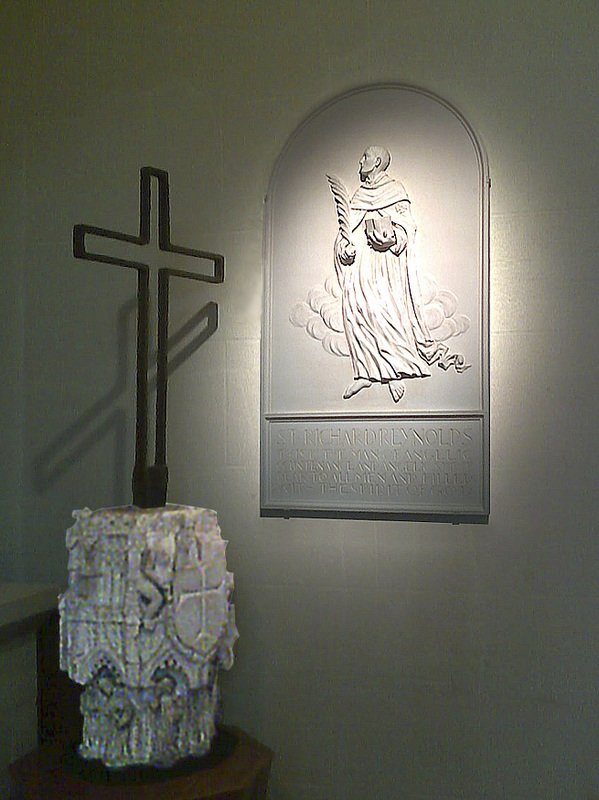 of the saint by sculptor, Geoffrey Preston. alongside the saint's memorial wall plaque by sculptor, Geoffrey Preston. Saint Richard, one of the Forty Martyrs of England & Wales, was canonised by Pope Paul VI in 1970.
where he was born in 1492. Syon' may be copied or printed from HERE.